Palazzo means ‘palace’ and ‘grand building’. Venice is famous for it’s palazzo’s. Many of them were build along the Grand Canal. 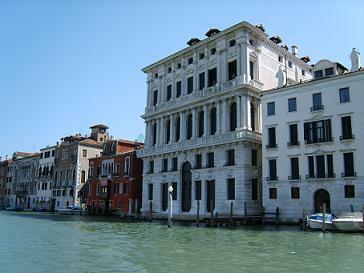 The first palazzo’s were build in the 13th century with influences of the Byzantine Empire. The houses were decorated with large loggias, arches and capitals. An example of this style is Ca’Loredan. It’s in the San Marco district close to the Rialto Bridge. Doges Palace in Venice next to the Campanile of St. Marks. The Gothic style was more decorated with facades plastered in brilliant colors. Examples of the Gothic style are the Dogen’s Palace and palazzo Ca’ d’Oro. Based on classical architecture with round-arched windows. Palazzo’s from that area (1500-1600) are Ca’ Vendramin Calergi and Palazzo Grimani di San Luca. Style in 16/17th century with fashioned cornices, broken pediments and ornamental motifs. 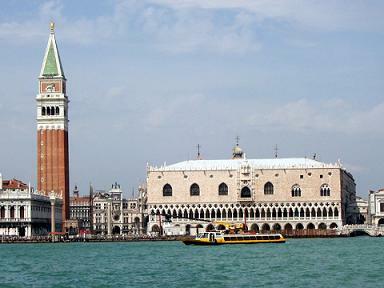 The famous basilica Santa Maria della Salute was build by architect Longhena. He also designed the Ca’ Pesaro (picture above). 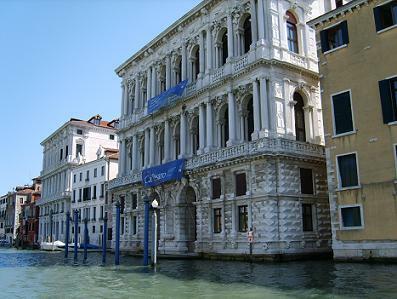 Ca’ Pesaro is nowadays the Venice’s museum of Modern Art.